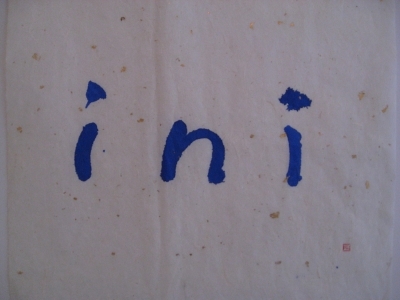 This , "ini", is Ms. Inhee Chung's favorite word. It is her nickname given by her mother. I think it is wonderful to cherish something from a mother. Moreover,I imagine they have had a beautiful relationship.